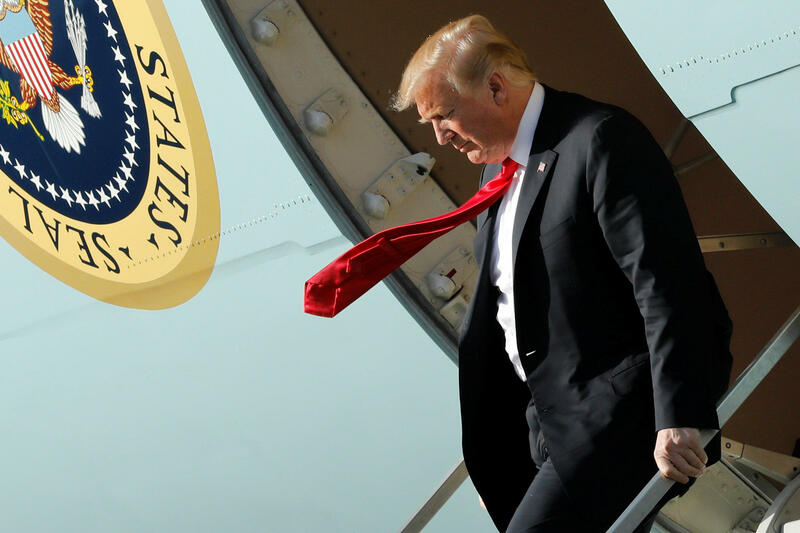 President Trump and First Lady Melania Trump are meeting with Caribbean leaders at Mr. Trump's Mar-a-Lago resort in West Palm Beach Friday, after a week of the president attacking the late Sen. John McCain and building anticipation for special counsel Robert Mueller's report. The president is meeting with leaders from the Bahamas, Dominican Republic, Haiti, Jamaica and Saint Lucia. Those countries have all either criticized Venezuela's Nicolas Maduro, or recognized Juan Guaido as the country's rightful leader, as the U.S. continues to pressure Venezuela. Trump told reporters that he and the Caribbean leaders would be discussing trade and relations with Venezuela in their meeting. He did not answer any questions by the press. Meanwhile, back in Washington, the president's criticisms of McCain and anticipation of Mueller's report linger. Mr. Trump told Fox News' Maria Bartiromo in an interview that aired Friday morning he only bashes McCain because he's asked about the deceased prisoner of war, although he attacked McCain on Twitter last weekend and launched into a five-minute tirade against McCain in a speech at a tank plant on Wednesday. "You asked me the question. When I went out yesterday to the scrum -- they asked me the question," the president told the Fox host. "When they ask me the question, I answer the question. But you people bring it up. I don't bring it up. I'm not a fan. He was horrible, what he did with repeal and replace. It was -- what he did to the Republican Party and to the nation and to sick people that could have had great healthcare, it's not good. So I'm not a fan of John McCain, and that's fine." And anticipation is building for Mueller to deliver his report on Russian election interference and possible obstruction of justice. Once Mueller submits his report to Attorney General William Barr, Barr decides how much to release to Congress and the public. The president says Barr should allow the public to see the report. "Let it come out, let people see it," the president said Wednesday.